Food fortification is not a new idea, in fact it dates back to the early 1920s, where iodized salt was introduced to combat goiter. Once pure vitamins could be synthesized at an industrial level, food fortification became commonplace in the 1930s and 1940s. 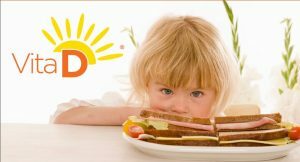 Vitamin D food fortification was introduced at that time in the United States and many other industrialized countries such Great Britain. In particular Vitamin D fortified milk was produced at that time, but Vitamin D was also added to a variety of foods and beverages including amongst others beer, bread and custard.